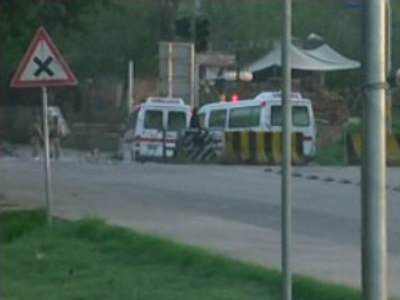 Three Pakistani soldiers have been killed and up to 20 more are reported wounded after troops stormed the Red Mosque in Islamabad where about 150 hostages were being held. The army says up to 40 militants were killed in the raid which was launched in the early hours of Tuesday morning. Twenty children managed to escape unhurt. Gunbattles broke out a week ago between security forces and supporters of hardline clerics who've been trying to impose Taliban-style rule in the capital. Attempts to negotiate an end to the standoff failed. An army official says the operation is nearly complete and dozens had been arrested inside the mosque.